EuropeLab 2018: What do we change there? 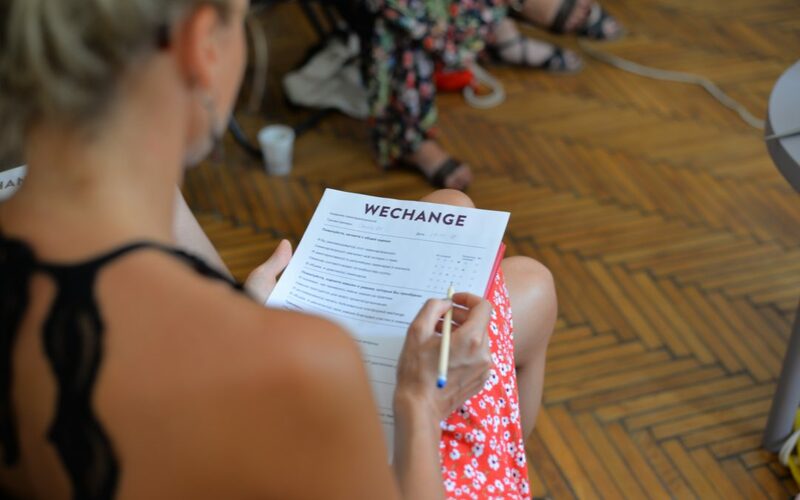 For the third year running, WECHANGE was at EuropeLab, a forum for young professionals from the EU and Russia. Run by the organisation EU-Russia Civil Society Forum, EuropeLab always takes place in significant places of historical memory. This year, it was in the city of Piteşti, Romania. You might be wondering why is it that some of the WECHANGE team were recently in Romania. Do they like to travel? Of course. But this was a trip with a mission. It is our second year of collaborating with EuropeLab, an initiative from the Berlin-based NGO, EU-Russia Civil Society Forum. The aim of EuropeLab is to develop international projects between EU countries and Russia on topics such as conflict resolution, historical memory and civic education. A call for project proposals is made after the forum with funding up for grabs. This is where WECHANGE comes in. The participants of the Forum work on decentralised projects, across multiple countries, from Russia to the UK and a fair few countries in between. How do you go about coordinating and collaborating on such transnational projects? Of course, digital tools have opened up a whole array of opportunities in this sphere, but they are not without their problems. Who has access to your data online? Where is it stored? How sustainable is it? It is because of these issues that the WECHANGE platform was developed as an innovative, open source solution. What exactly makes the platform different? How can it be used by social initiatives? WECHANGE unites all the basic project management tools in one place. It is easy to get lost in multiple channels of organisation online. Within one project, you can be spread across multiple websites. That’s why WECHANGE brings together much of what you need for any project – to-do lists, an appointment calendar, Etherpads, file storage, polls and much else besides. And, our software’s open source. WECHANGE is run on green servers. The question of environmental sustainability is one we take seriously at WECHANGE and think the whole of civil society should too. For that reason, the platform is hosted on servers that run off renewable energy. WECHANGE does not take part in the data business. Whilst many other online tools scan your data and sell it to third parties, WECHANGE does not access your data and works hard to protect your valuable information. Being a cooperative, WECHANGE seeks to run on democratic principles. We try to be as transparent as possible and hugely value feedback and input from our users. Our users can help shape the future of the platform by joining the cooperative too. Community is at the heart of everything we do. From being a cooperative to supporting those who want to make an impact in their local area, change is best achieved together. That is why WECHANGE isn’t just a platform for project management tools, but also for networking. There is a searchable map to find initiatives or users in your area or who are working on your topic, the Forum where our users can share events, job opportunities and resources and a message function to get in contact with other changemakers. We wish the EuropeLab 2018 participants luck in developing their project proposals! WECHANGE is excited to see what you’ve got!